What’s Going on with the52weeks.com? We know it’s been a bit quiet. Over a year has passed since we conceived the52weeks.com and we are still working hard to get “unstuck” and checking things off our to-do list! We quickly realized that doing something (even something small) and writing about it weekly was much easier said than done! But our concept resonated with many people. So maybe, we thought, the “52” in the52weeks.com is really just symbolic and goes beyond just representing a chronological year. Maybe it just represents staying focused, getting moving again, trying new things and getting unstuck no matter what the time frame may be! The fact is, we’re not done yet! Yes, we’ve checked a lot of things off our to-do lists already – golf lessons, rock climbing, facing fears and bad habits, art classes, bringing more culture into our lives, poker lessons, re-reading the classics, test-driving impractical sports cars and even trying to repair some challenging relationships! Pam got over her fear of being on-camera and Karen is still struggling with breaking her own, sometimes “secret”, self-destructive nicotine habit (ugh). But the important thing is we took steps and we are still going strong. After some exciting inquiries from agents, we’re also working hard to bring a book to life, inspired by our blog and featuring some well-known experts. We’ll keep you posted. 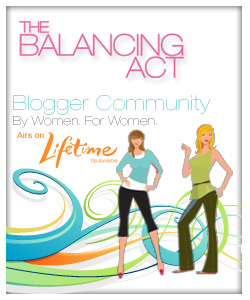 We are now a featured blogger and strategic partners with The Balancing Act, a national morning show from Lifetime Television that is all about finding work-life balance. 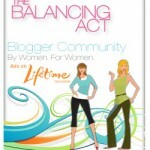 We’ve also partnered with the BlogHer Publishing Network, with 25+ unique visitors per month. 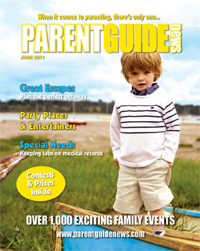 Parent Guide News wrote about us this summer and we’re excited to announce that we will be talking at the 92nd Street Y in early 2012 with a panel of incredible bloggers and authors – stay tuned for the date. So, tomorrow we will run a great guest post by one of our regular guest bloggers but look for our new posts in the coming weeks about exploring new career options, dance lessons (Dancing with the Stars watch out! ), meditation to reduce stress and finding our “pre-40-something Mojo” again. See you soon! 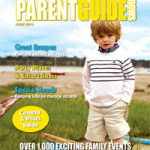 Wow, this is all very exciting stuff! I have definitely been thinking differently about my goals on a “symbolic” basis since starting to read the52weeks. The fact that we all feel so guilty that we don’t do every single thing we say we are going to is only a testament to how much we are capable of! Thankfully, we have blogs like this to keep each other in check and honest. A good nudge from friends never hurts! Previous post: Escaping to Mexico…Sort of!